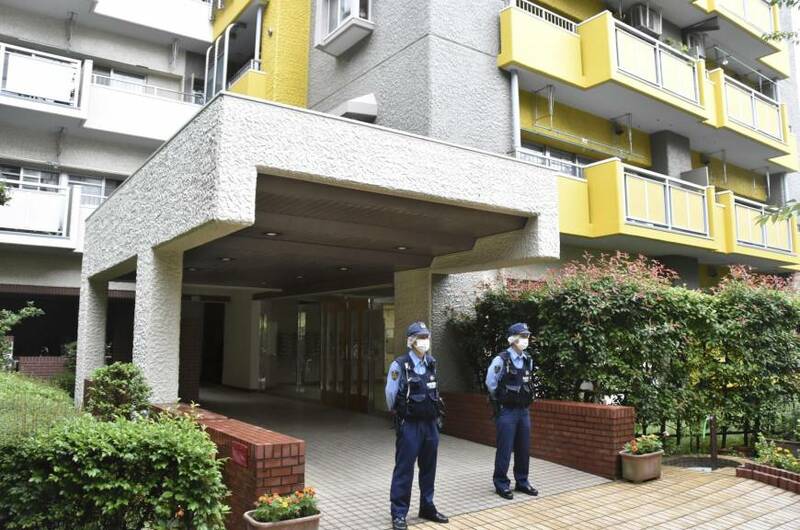 YOKOHAMA - One man is dead and two others, his wife and son, are injured after a knife attack early Thursday at a housing complex in Yokohama, police said. The male suspect fled the scene after attacking Koji Endo, 61, his wife, Kyoko, 61, and their son, Tomokazu, 40, at around 1:35 a.m. Koji died in the attack, according to the Kanagawa Prefectural Police. A man of similar appearance to the suspected attacker was later found dead after apparently falling from another apartment building in the city. Police are investigating whether he had any connection to the attack. 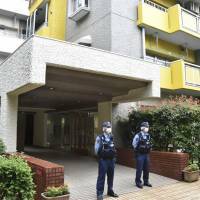 The police said they received an emergency call from Kyoko saying her husband and son were involved in a quarrel with a man. Officers went to her apartment and discovered two men lying on the bedroom floor. Kyoko, who escaped to a neighbor’s house in the complex, suffered facial injuries but was conscious. Tomokazu was seriously wounded and unconscious. Both were taken to hospital, the police said. Kyoko reportedly told police that the man who attacked them had experienced financial issues over the past few years. The housing complex is located roughly 2 km east of Minamimachida Station on Tokyu Corp.’s Denentoshi Line.